We meet as a sangha (community)Â for a time of sharing and meditation. 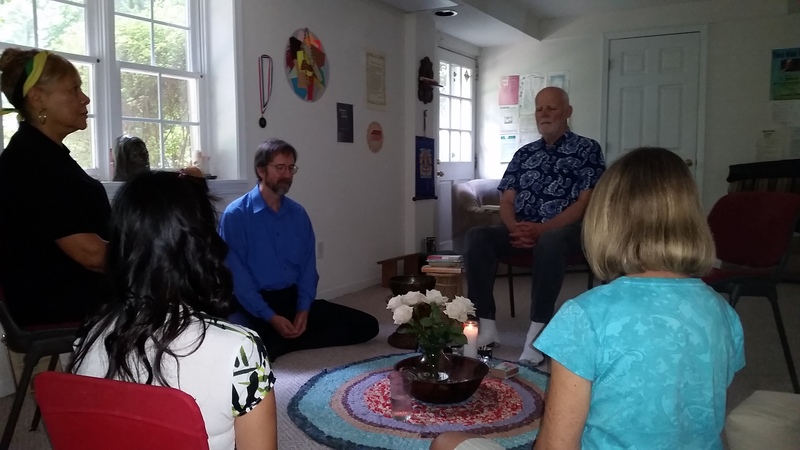 All meetings are now being heldÂ at theÂ Mindfulness Practice Center, 1748 Old Hickory St, Decatur, GA. The sharing includes wisdom from Buddhist teachers past and present. We share our own suffering and joys. We share what works in our practices. We also share a vegetarian snack near the end of the meeting. The middle of the meeting includes a time of mindfulness meditation, including sitting meditationÂ and (usually) walking meditation. The meditation is not â€œrigorous,â€ but is intended to give practice to dwelling in the present moment. No one is ever chastised for â€œdoing it wrongâ€ (there is no â€œwrongâ€ way), and there is great power in sitting together as a sangha. Sometimes, we share in a recitation of the Five MindfulnessÂ Trainings, whichÂ represent the Buddhist vision for a global spirituality and ethic. As with all we do, this is optional. We welcome everyone, no matter where you are on your path. We provide a supportive, respectful environment where you can learn peaceful ways of being in community. PleaseÂ join us. Check our calendar or Facebook page for the next meeting.